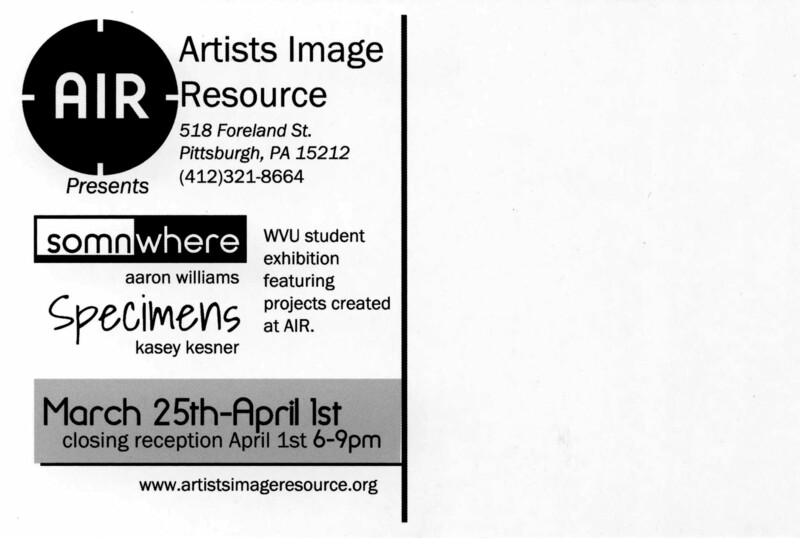 WVU Undergraduate Printmakers Aaron Williams and Kasey Kesner will be having a two-person show at Artists Image Resource in Pittsburgh. 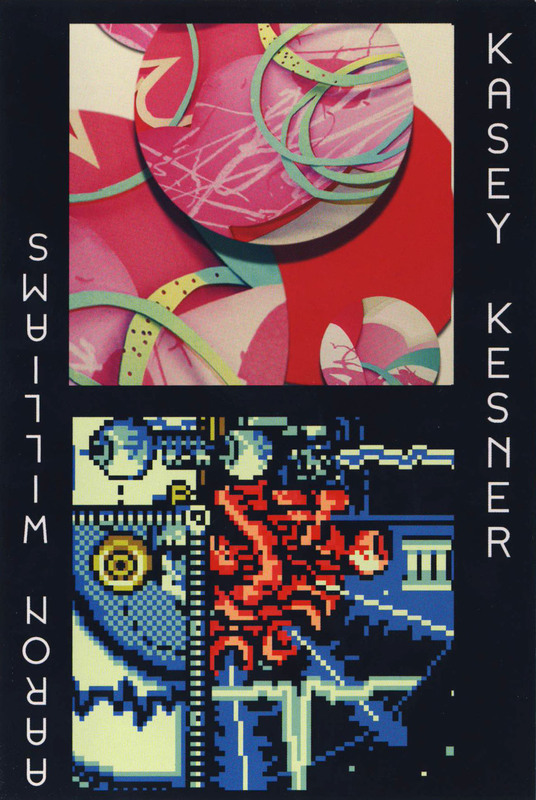 The closing reception is this Friday, April 01 from 6pm-9pm. Aaron and Kasey were interns at AIR during the Fall 2010 semester. Ashley Nason, Derek Reese, Grant Johnson, Jeff Hindal, Jennifer Rockage, Martin Mazorra, Matthew DiClemente, Matthew Forrest, Michelle Moode, Miguel Rivera, Patricia Villalobos Echeverria, Samantha Mosby. 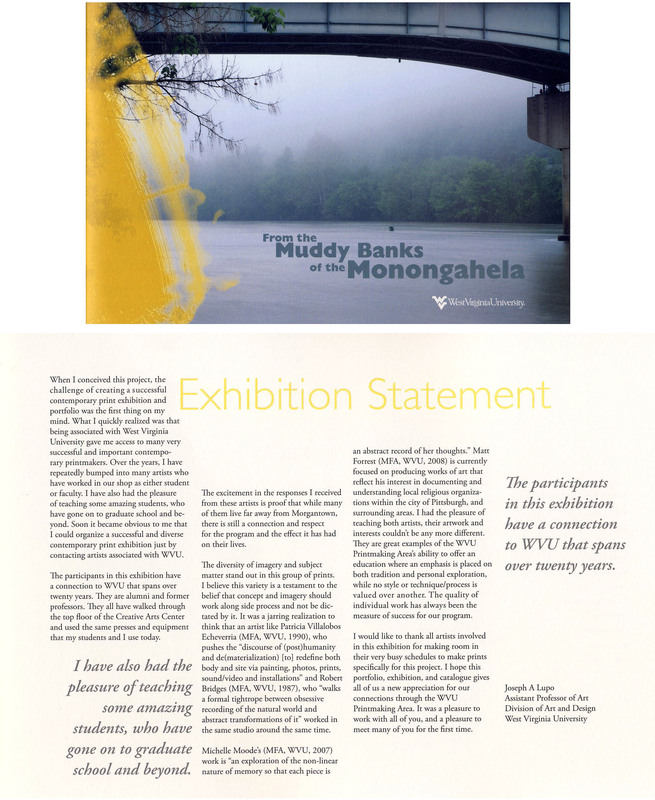 Christopher Hocking, Carmon Colangelo, Joseph Lupo, Robert Bridges, Sarah Smelser, Sergio Soave.